LEONARDO: Named for the mind-bending Italian inventor and painter Leonardo Da Vinci, Leonardo is the cool, calm, Zen Master of the Turtles, who takes to heart the responsibility of being the oldest brother. Luckily, “Leo” stands 6’ 5” and wields his steel katana swords with deadly accuracy. While Leo has always been the most serious and disciplined of the four brothers. This Leo is a fresh incarnation who wrestles with a burden most teenagers don’t have: saving the world while keeping his little brothers safe! Picking up where Master Splinter leaves off, he serves as a surrogate dad to his family. And when it comes to the Ninja part of their legacy, no one trains harder than Leo, making him a formidable foe to anyone who threatens their brotherhood. RAPHAEL: The namesake of the master fresco painter known as the father of Renaissance style, Raphael is no pushover. He’s the rebel bad-boy of the four brothers, known not only for his fierce red mask and his prong-shaped sai weapons. Raphael might be the one turtle most likely to act now and ask questions later, but beneath his stormy personality, he’s as loyal to his brothers as they are to him. 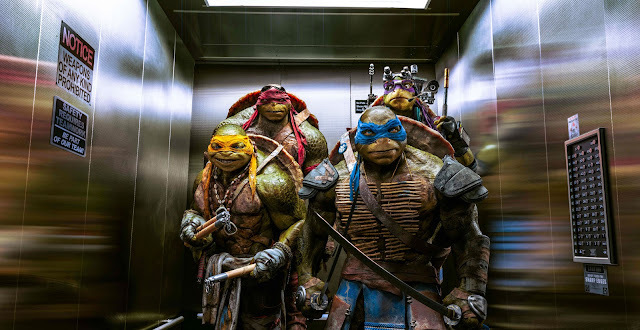 DONATELLO: Dubbed for the Florentine sculptor who left an indelible mark on the art world, Donatello is the tech-savvy brains of the foursome. The tallest Turtle at 6’ 8”, behind his purple mask and his wooden bo staff, his sharp mind is never at rest. While Donatello has, since the original comic, always been portrayed as the smartest of the terrapins, here he comes to life as non-stop digital inventor, the guy who comes up with all the most bodacious TMNT gadgets. Opening across the Philippines on tomorrow, August 13, “Teenage Mutant Ninja Turtles” is distributed by United International Pictures through Columbia Pictures.